Now VR is hitting back. Let the games hit back. Don't just watch, Bring VR to Life. DID YOU JUST FEEL THAT HEADSHOT? 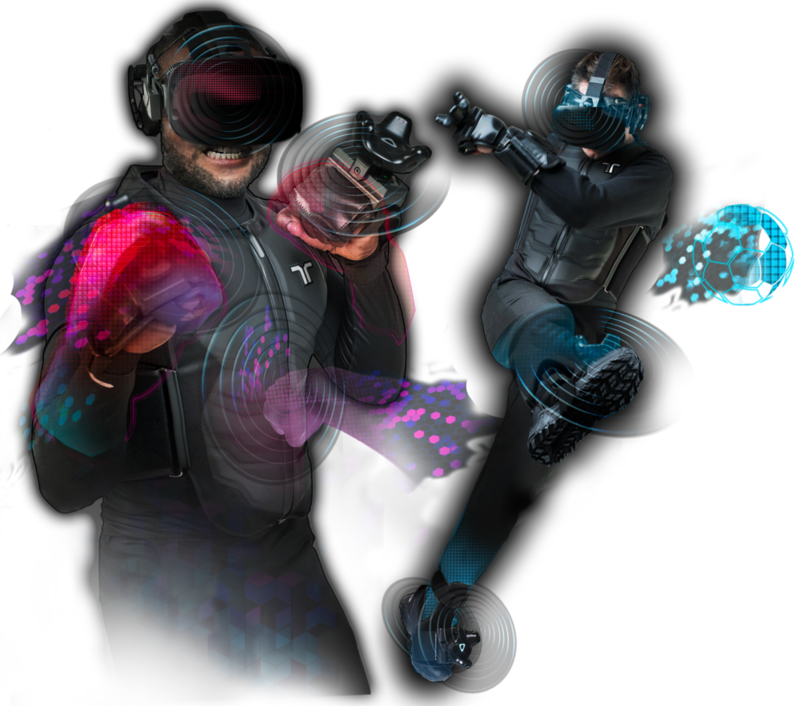 HAPTIC CUSHION FOR HMDS ALLOWS YOU TO FEEL THE SHOTS, BREEZES AND PUNCHES ON YOUR HEAD. 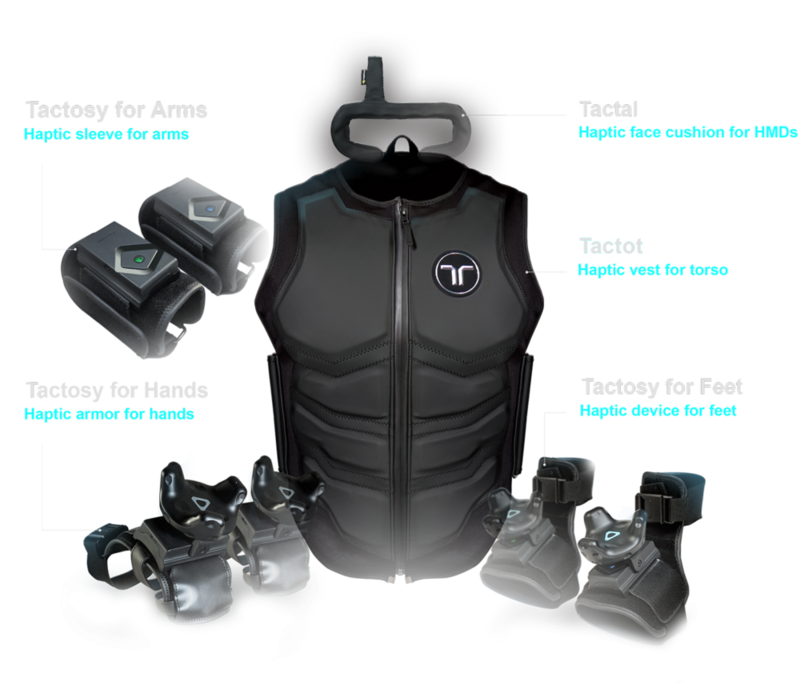 customized haptic vest for backpack PC is now available! NINA SPOKE TO STUART BURMEISTER, SOFTWARE ENGINEER FOR BHAPTICS ABOUT HOW THE COMPANY IS TRYING TO MEET THE REQUIREMENTS OF THE MARKET. in a state-of-the-art HOLOGATE VR Experience Centre. READY PLAYER ONE IS SLOWLY BECOMING A REALITY. I DID AN INTERVIEW WITH STUART BURMEISTER WHO’S A SOFTWARE ENGINEER AT BHAPTICS. in a state-of-the-art SANDBOX VR Experience Centre. with 70+ haptic feedback points. 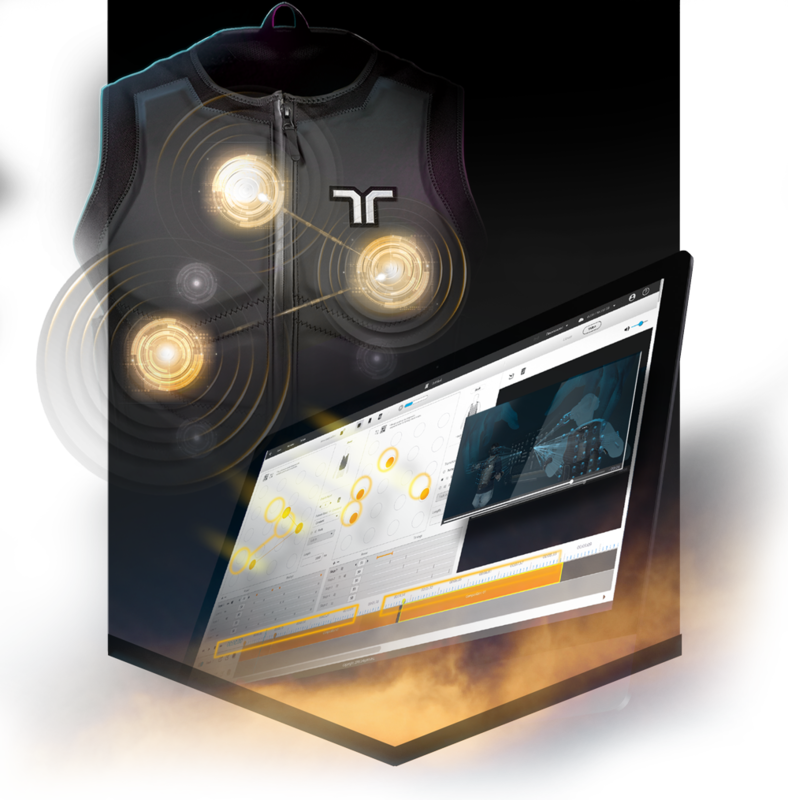 the haptic points in the bHaptics Designer. and we provide an SDK for each one. Feel the virtual kick, punch and breezes. You can now feel the shot on head and your whole body in VR. 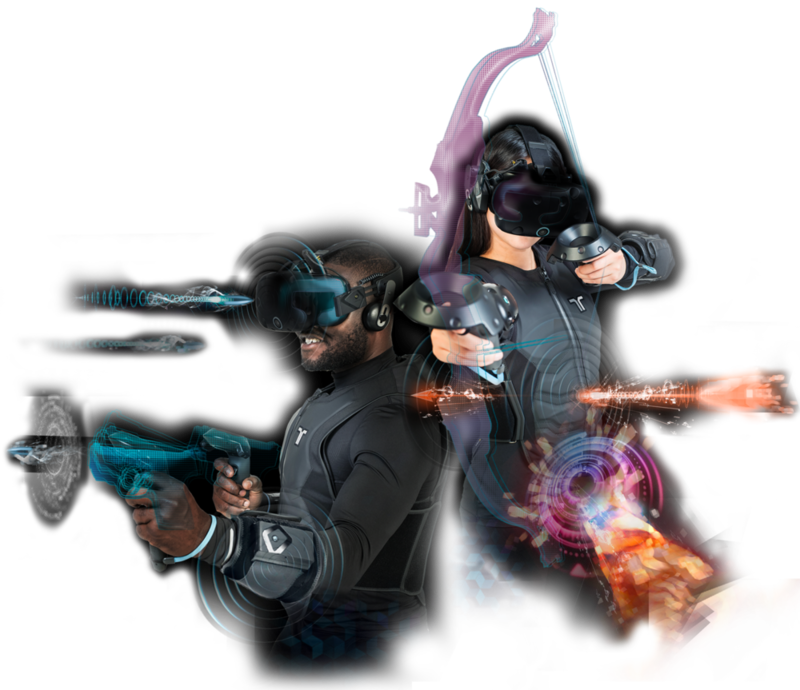 Enjoy VR sports with bHaptics solution for boxing, soccer, martial arts and more! and medical patients (rehabilitations/PTSD) to train, learn and recover. You can now use haptic solution in social VR channels. Greet your friends in VR just like how you do in real life.